Grid 3’s Environment Control enables you to control everything from lamps to your front door, your TV to your Hi-Fi, all by simply using your device. The clean and simple design of every grid in Environment Control makes navigation and making selections easy and intuitive. Changing channel, adjusting the volume and accessing TV guides is fast to use and just as quick to setup with our single Selection learning feature for remotes. 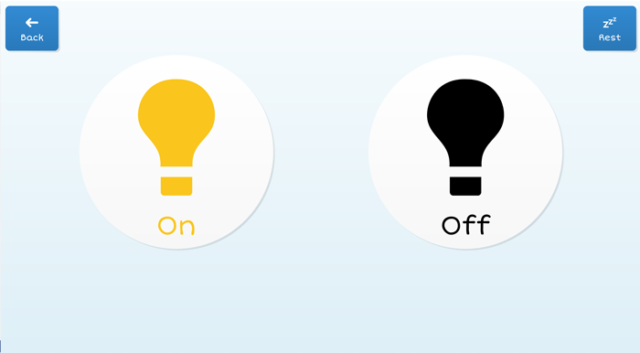 In addition to the single selection learning feature, once your remote has been programmed you won’t need to do it again as all grids will work, including your TV favourites grid. 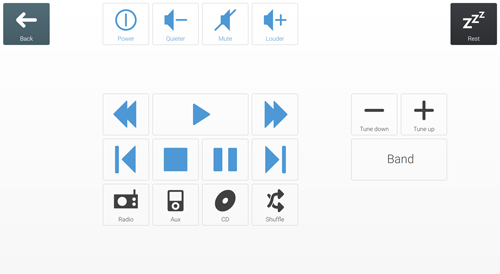 In Grid 3 you can choose to single press, for when you want to turn the TV on/off or pull up a menu; queue actions, which is useful when you want to build a channel number; hold down, when you want to adjust the volume or brightness; and repeat an action – handy when channel surfing. 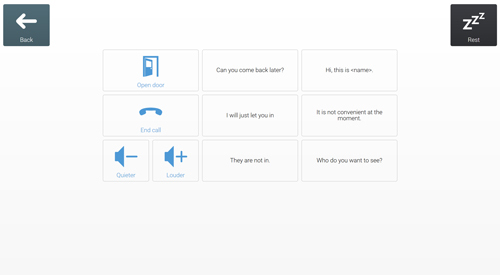 If you have a remote controlled telephone or door intercom, you can answer calls and open the door from within Grid 3 in only a few selections. 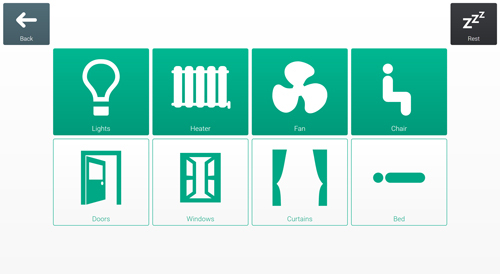 Grid 3 can control many other adapted home accessories, including lights, heaters, chairs, beds, windows, and curtains or blinds. 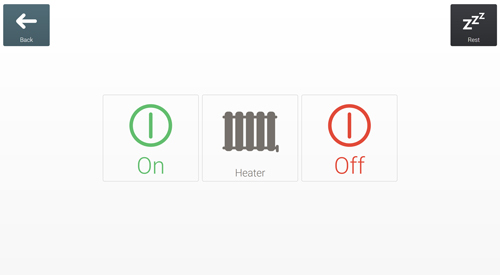 If you have a Grid Pad Pro or Grid Pad Eye you will be able to control radio sockets around your home. These make it possible to operate even more products, such as a heaters and lamps. There is also a grid set designed especially for people starting out with Environment Control or who want limited options. The friendly interface is the perfect introduction for beginning to control the world around you. 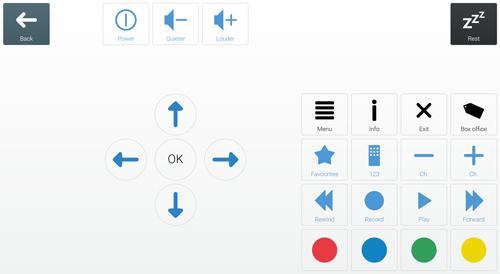 Servus Environment Control can be used with every type of alternative access, from switch to eye gaze and pointing devices to voice activation. 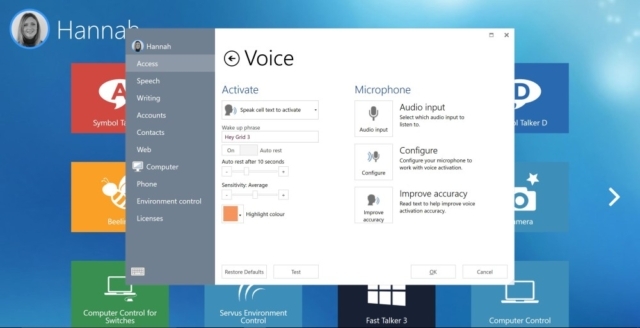 The new voice activation feature in Grid 3 enables you to activate a cell using your voice. 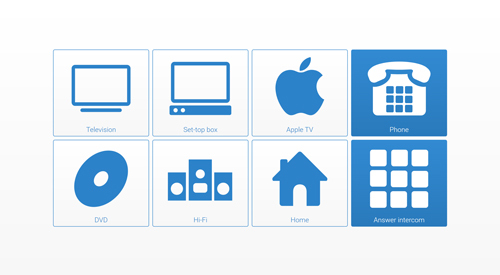 Simply say the words on the cell you wish to select and Grid 3 will do the rest, whether that’s changing the channel on your TV or turning on the light in the lounge. Environment Control in Grid 3 is compatible with all of the popular environment control brands, including GEWA, Eldat, EvoAssist, IRTrans and UUIRT. 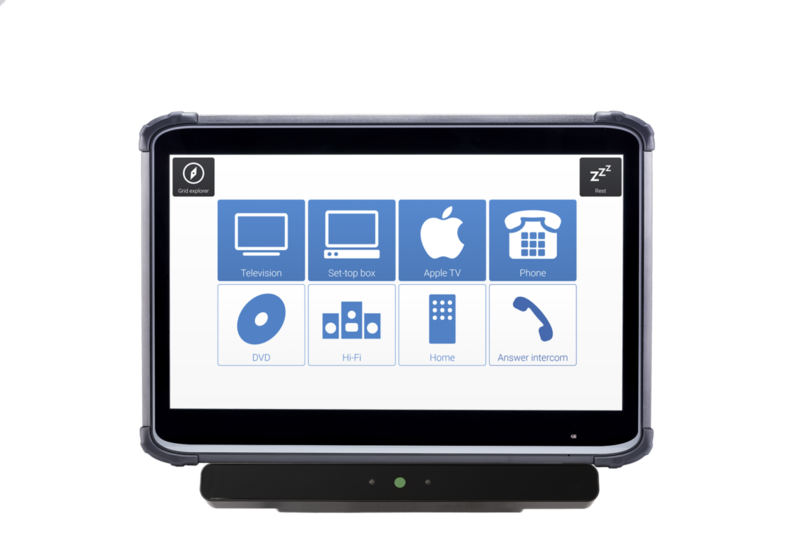 If you use Grid 3 with one our Grid Pad devices you will also have the option of using Z Wave products. Our new Emergency SMS feature enables you to ask for help via text message in only one selection with any Android phone.